First edition of Tuchman’s Pulitzer Prize-winning account of the opening episodes of World War I. Octavo, original black cloth, cartographic endpapers, illustrated. Signed by Barbara Tuchman on the title page. Fine in a very good dust jacket with a few small chips to the spine. Jacket design by Ellen Raskin. Rare and desirable signed. 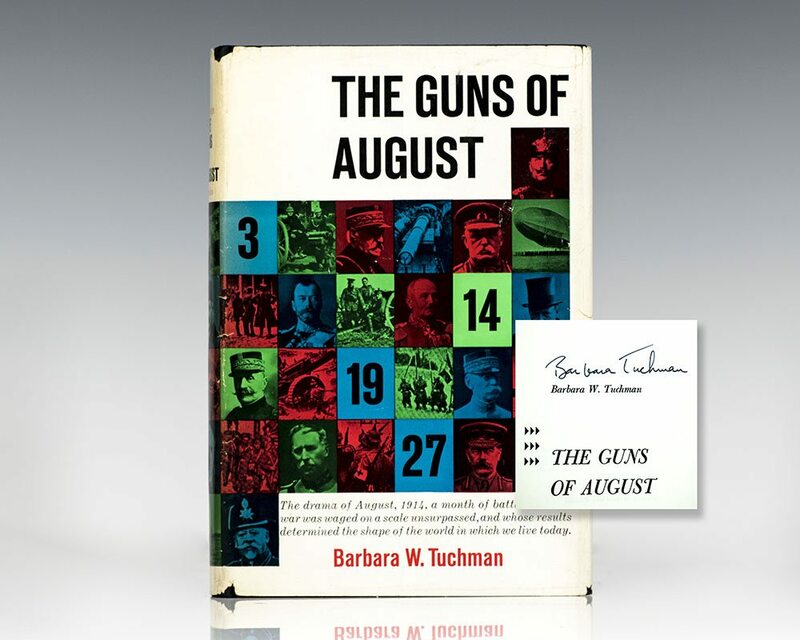 “More dramatic than fiction… The Guns of August is a magnificent narrative—beautifully organized, elegantly phrased, skillfully paced and sustained… The product of painstaking and sophisticated research” (Chicago Tribune). An immediate bestseller, Tuchman’s celebrated history of World War I won the Pulitzer Prize for non-fiction. It also served as the basis for the critically acclaimed 1964 documentary compiled from archival footage by Nathan Kroll. Listed by Modern Library as one of the greatest English-language nonfiction books of the 20th century.